Newfoundland’s black bear is recognized the world over for its large size. It has been estimated by wildlife biologists that the black bear population on the island is over 10,000, with some of these big bruins weighing in at up to 312kg/680lbs! This is about double the size of the average North American black bear. Traditional low hunting pressure and a large body size makes the Newfoundland black bear a very exciting and attractive quarry. 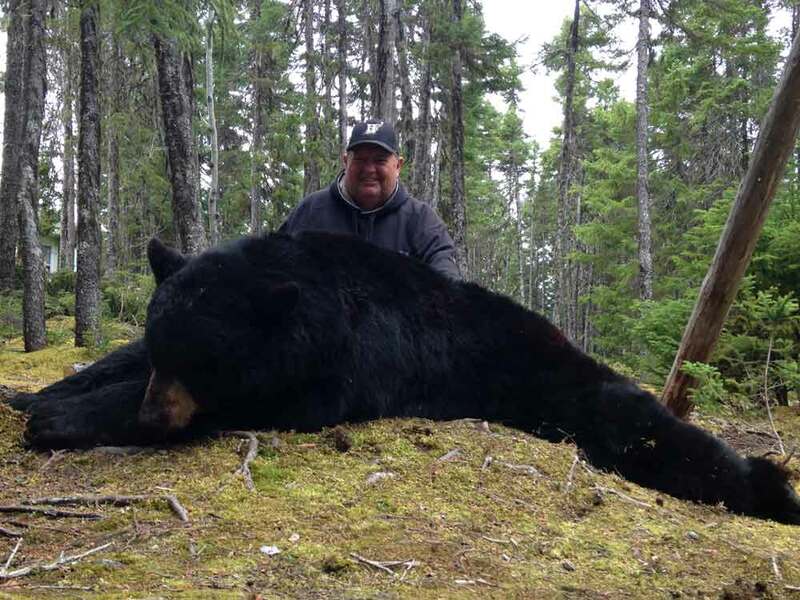 If your a rifle hunter, be sure to bring a high powered rifle for Black Bears here in Newfoundland. Though its not usually required to take long shots, you want a rifle that will get the job done. These bears are very tough animals and are very large, they won’t quit till the very end. A rifle can be an asset during spot and stalk hunting for reaching out to a bear in the open, that may be difficult to get close to, helping ensure you take the trophy bear that you want. 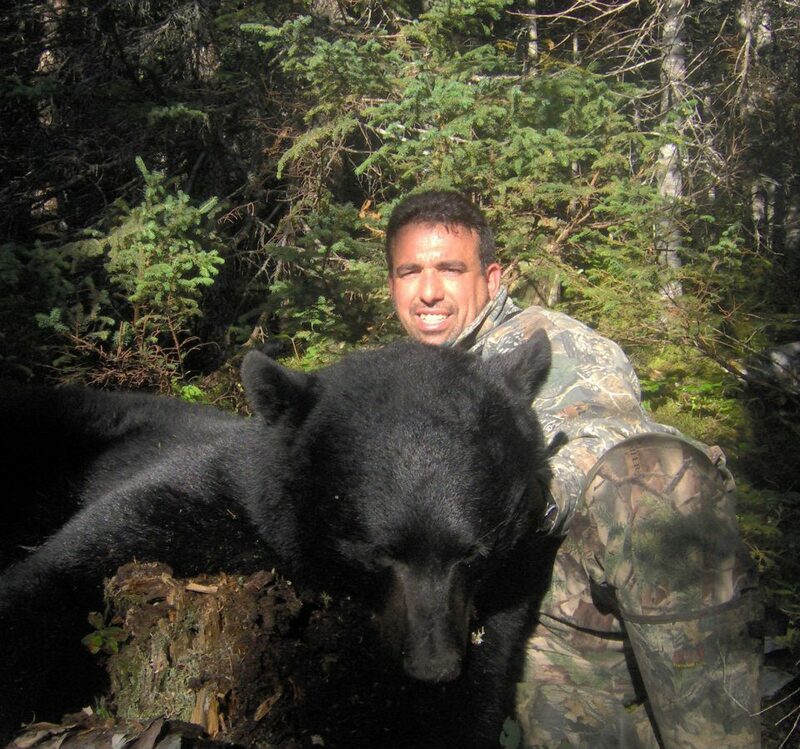 Black Bear hunting with a bow here can be the ultimate excitement and thrill. Whether your hunting from a stand or spot and stalk hunting, hunting a bear with a bow is a blast. We have many stands set up just for the purpose of bow hunting, at distances of 20-30 yards. Our baits are specifically set up to get the bear entering at the right angle for you to get a broad side or quartering away shot. 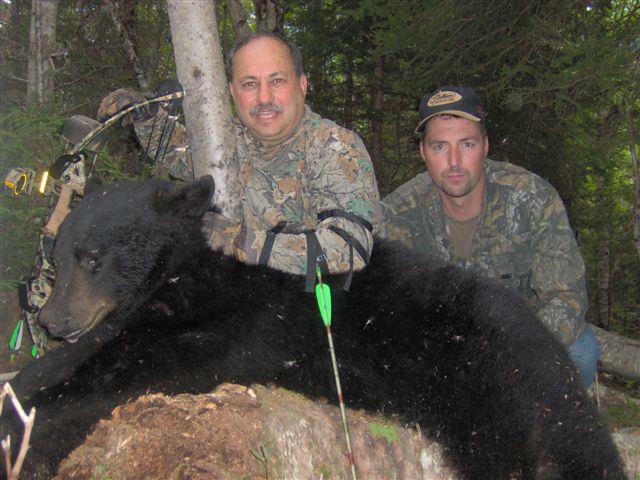 Spot and Stalk bear hunting with a bow can be a thrilling challenge for even the most experienced of bow hunters. The bears frequent old burned areas and grassy leads near rivers in search of berries, ants nest and other tasty treats allowing us to be able to spot the bears from a distance and then make the stalk. 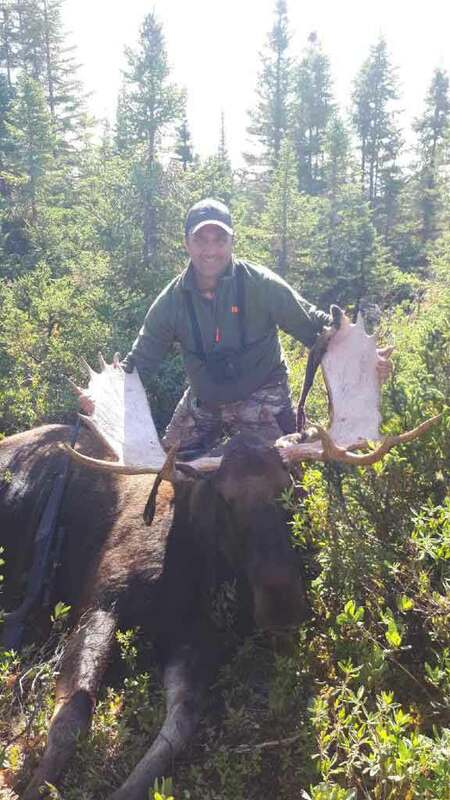 Our terrain is ideal for stalking a bear and provides excellent cover to be able to get in close and get that shot of a lifetime on a Newfoundland monster Black Bear. 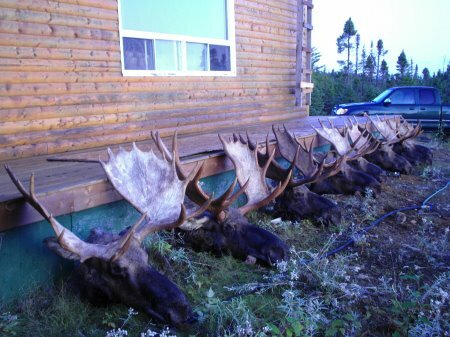 Here at Island Safaris we run 30+ baits and stands to ensure our hunters to have optimal success taking a bear. If we receive higher numbers of hunters we add more stands to accommodate the extra hunters and have you hunting stands that others have not disturbed. All our stands are set up for 2 people so your guide can accompany you in the stand for advice and the fastest possible retrieval of your trophy. 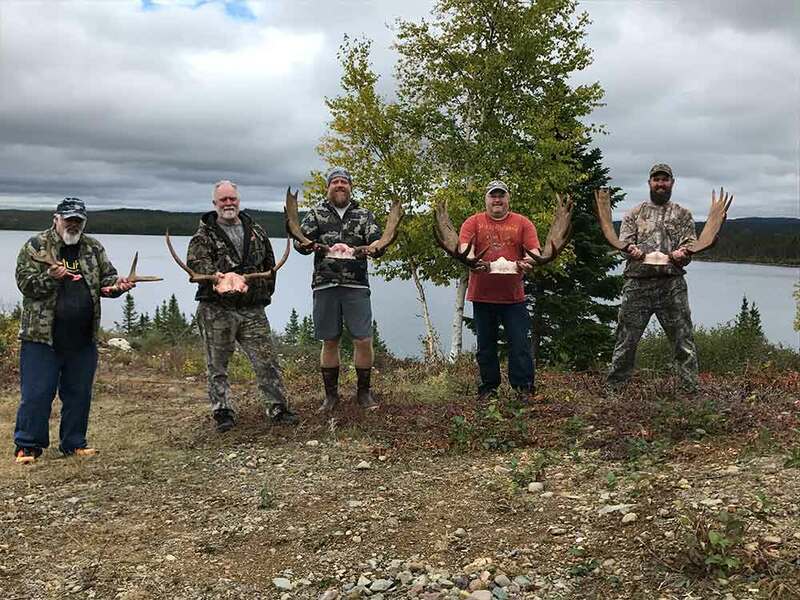 We use a combinations of several types of baits which we have tested and proven best for bringing in Newfoundland bears, the baits are placed in big steel cans and drums, which are altered purposely for baiting bears. We use several different types of stands which include, seat stands, ladder stands, and also large platform stands, which seem to be the preferred stands as they are large enough to set up our ground blinds on making hunting in bad weather much more comfortable.